Vertical Inc. is one of my favorite publishers around because they translate Japanese books to English- include a growing number of craft and cookbooks. To make things even better- they sent me an extra copy of this book to giveaway! The giveaway is for US residents only. I'm sorry about that. Whoever wins will also get some Alaskan postcards- mostly because I love picking them out to put into packages that I'm sending down south! The winner will get the English version shown above. The version shown below is to show the original book that was translated! 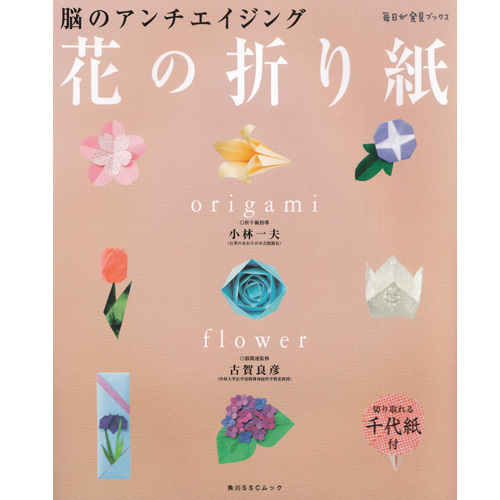 Origami Flowers is an English translation of Hana No Origami. It features a lovely collection of blossoms. Some of them are abstract and stylized and some are very realistic. Like a lot of Japanese books- there are scissors used in some of the models. Mostly they are to create decorative edges that further define a type of flower. The diagrams are traditional style, but this is a good book for beginners. It features a full guide to reading traditional diagrams and each of the models is marked for difficulty level. Beginners will get comfortable fast, folding the simpler models, and building up to the trickier models. A lot of the models use several sheets of paper. The gorgeous rose in the center of the book cover reminds me quite a bit of stained glass roses. It's sculptural and it's one of the simplest models in the book, it gets it's many petaled look by using several sheets of paper. This could become one of my all time favorite models pretty easily. Card makers will enjoy the elegance of several of the flat flowers, and jewelry paper crafters will also see a good use for a lot of these pretty flowers. More practical models include a couple decorated envelopes, and there is a whole section dedicated to "Practical Flowers". I'm wild for practical origami, in fact one of my favorite origami books ever is Practical Origami (also published by Vertical Inc), so this is one of my favorite sections of the book. Pretty bowls that look like sculptured flowers that are made using paper napkins, decorated chopstick cases and dishes. These are very pretty models that would work very well for entertaining. Want your own copy? You can get it on Amazon and help out this page, or you might be able to win a copy! a Rafflecopter giveaway U.S.A. U.K.
My all time favorite Japanese craft has always been origami. Love how folding a piece of paper can turn it into something so special. I love that there is a publisher translating Japanese books into English!! looks like something fun to try. I did some origami as a child and would love to try again. I love origami, I tried it when I was little and my girlfriend is really into it so, if I win, I might give this to her for her birthday. 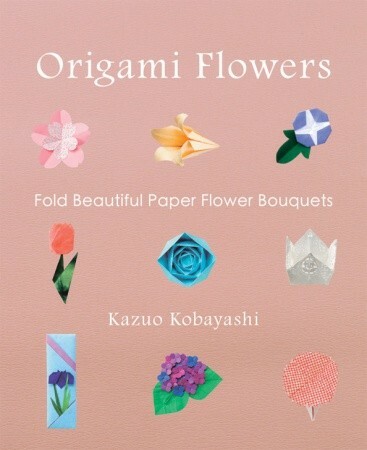 I love origami, I tried it when I was little and my girlfriend is really into it so, if I win, I'll give her this book for her birthday. I want to learn more about origami! I love any kind of origami! This is my biggest love from japanese culture!